For those who couldn’t make last Monday, a reminder that we will not be rehearsing on Monday next, the 22nd April. 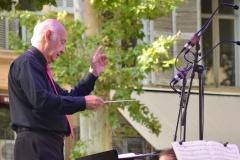 Usually we don’t rehearse on any bank holiday Monday, but there is a request from Alan that we do attend on May 6th (the early May bank holiday), because of the proximity of the concert. And speaking of the May 18th concert, a reminder that tickets are now selling at the Bath Box Office – in person, by phone or online. See the front page here for details. Don’t forget to buy tickets for family members who are coming along – don’t leave it until the night. 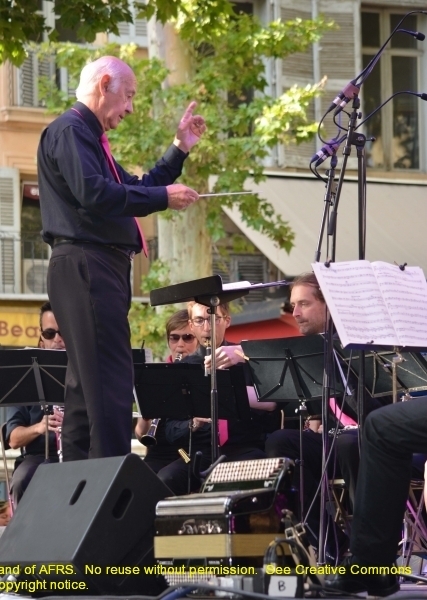 Dates for our Spring and Summer concerts are now published in the online calendar. 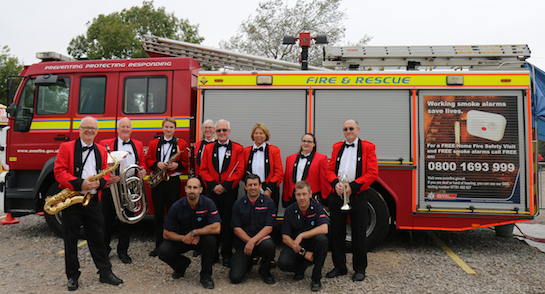 Our first, and the biggest event, is the special Charity Concert in aid of the Firefighters’ Charity. 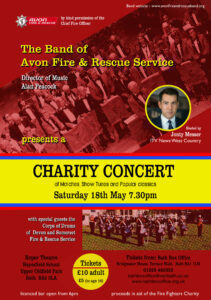 We’ll be performing with special guests on stage at the Roper Theatre on Saturday 18th May, 7.30pm. Tickets and further details will appear on this very website! on the 9th June, at 3pm at Victoria Park, Bath, and the 23rd June, at 2pm, Keynsham Park.